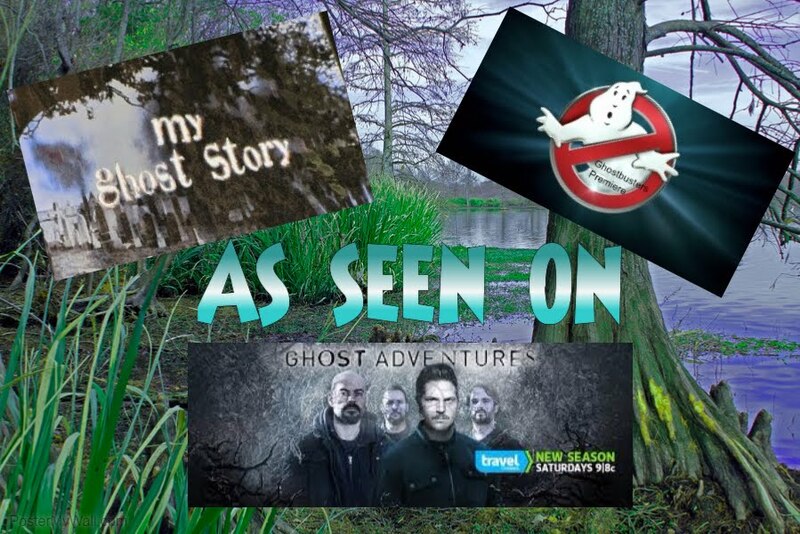 Becky Vickers(BECKS) - Everyday Ghost Hunters/Goatman's Bridge Ghost Tours: DO "THEY" REALLY FOLLOW US WHEREVER WE GO??? DO "THEY" REALLY FOLLOW US WHEREVER WE GO??? I am going off schedule this week on my topic because I wanted to share a couple things that happened on this weekends tour that I thought was really COOL! 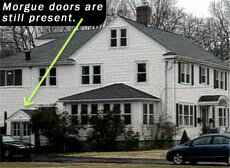 You tell me.....was "Don" watching over his lovely wife??? His wife is the one in RED! On the same night, another really fun lady came along, named Phoebe. She seemed to be really excited about being on the tour with us. 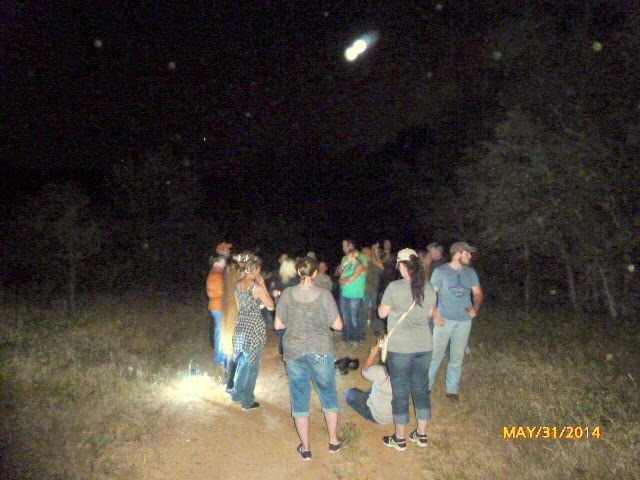 We were standing just off the bridge and I was telling the group about one of our team members had been scratched right where we were standing. I heard her said say.....kind of quietly...."my shoulder is burning". I didn't really think that much about it, but as I continued to talk, Phoebe continued to move her shoulder and say "my shoulder is REALLY BURNING"! So, one of the other ladies said "turn around and lets see". WOW!!!! There were THREE scratches on shoulder! Bright red!! 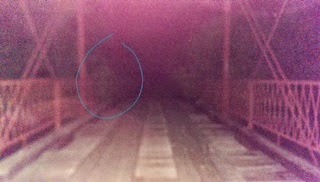 We had NOT been in any trees or wooded area as we had been on the bridge doing the spirit box so it couldn't have been a "branch" or anything. 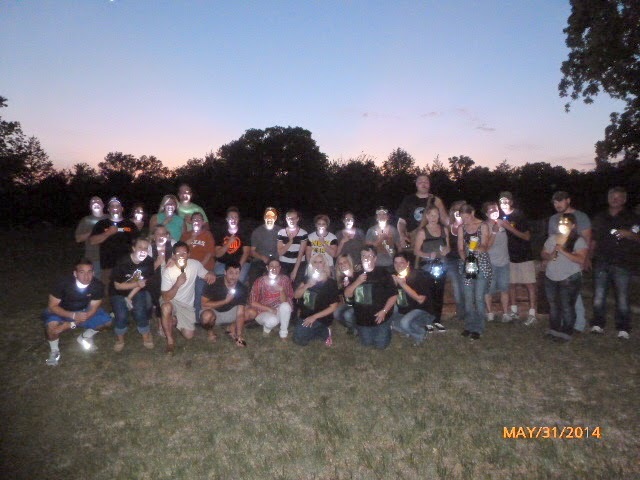 They looked JUST LIKE the ones I had seen before on our team member!!! I was trying to be a good paranormal investigator and come up with a solution as to HOW the scratches on her shoulder got there before jumping to the conclusion that it was something paranormal. Now, Phoebe was standing RIGHT beside me and I didn't see her do ANYTHING but stand there by me as I was talking. But I asked her, "are you SURE you didn't reach back and scratch your shoulder?" Her response to me was as SHOCKING as the scratches themselves! She said, "I was in a car wreck and I can't lift my arm but half way up, I couldn't reach behind me even if I wanted to"!!!! There WAS NO WAY Phoebe could have put those scratches on her shoulder! After reviewing the scratches, I noticed they are NOT consistent in ANYWAY the left or right arm reaching up from behind scratching one's shoulder would look. Two of the scratches point toward the right and one down and to the left. Very unusual pattern, not to mention the width of the scratches. 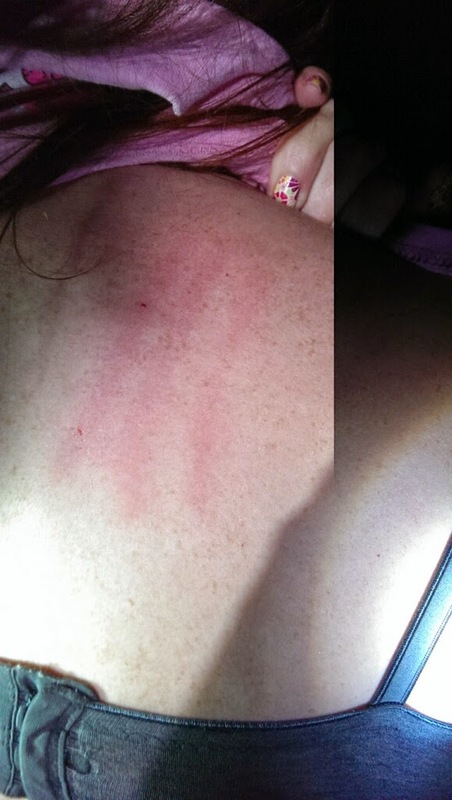 I have no explanation to explain the scratches other than coming to the conclusion they are paranormal! I hate that for Phoebe but she was AWESOME about it and stayed claim and continued the tour. 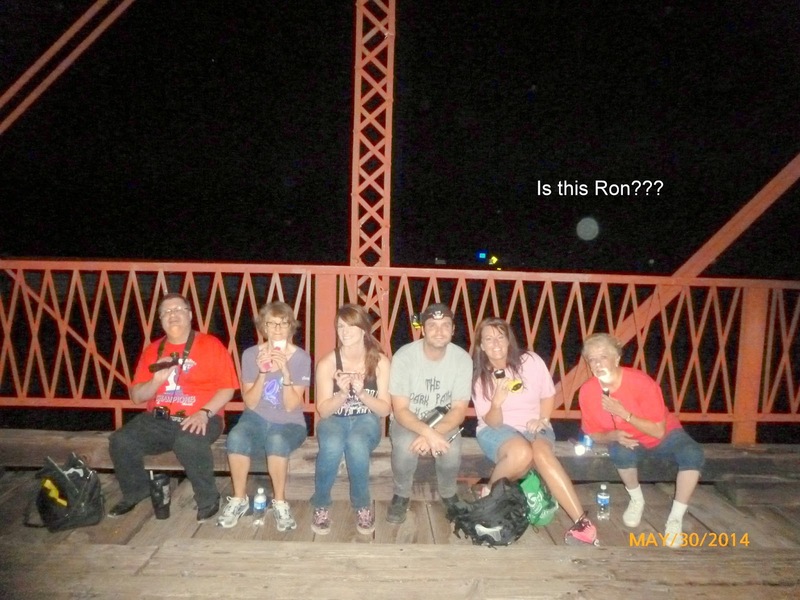 Also, submitted by Phoebe, a very interesting photo she took on the bridge. Thank you Phoebe. Nice catch!!! 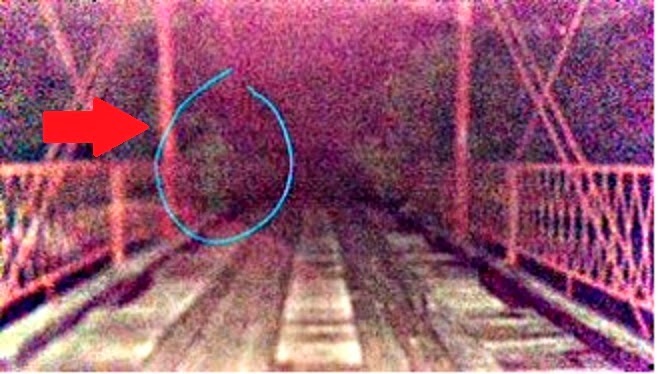 I enhanced this just a little to see the "figure" better. Thanks to everyone for a great tour!! !